Every time it rains: here it rains ferociously, the cockpit, the cabin, the bilges, the engine compartment, fill up with rainwater. The boat is filled with half a ton of water. I do not know how other Norfolk Gypsy owners deal with rain. I suppose they rig a cockpit cover each time they leave the boat. I do not have a cockpit cover. In fact, a boat full of water is a good thing during typhoon times. It makes her very heavy and thus more difficult to blow onto neighboring boats. Progress on the boat has been very slow because of typhoons. I conference with Kiyuna san. Both he and I, are terrified of getting into the boat as she is perched precariously high. That said, before Kiyuna san can work on the winch for the center plate, the boat has to be emptied of water. 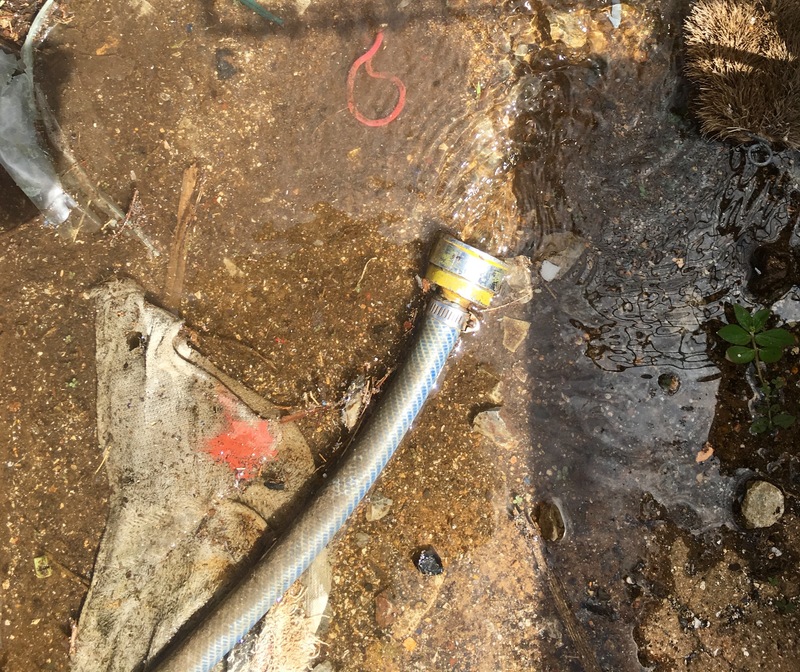 I then turn on the water from a supply at the base of the boat until the hose is full. 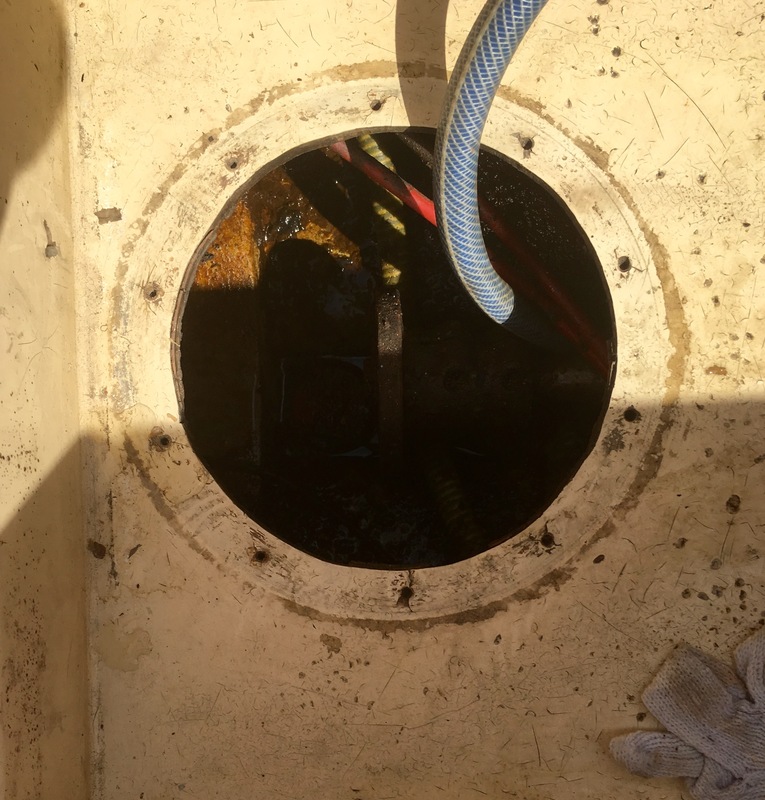 Next I release the bottom of the hose, about 2 meters below the level of the propeller shaft and, very satisfactorily, all the water is syphoned out of the boat. I do not know how many liters flowed forth. I am very pleased this worked. Okinawa hates leather. The sun dries it out very quickly. 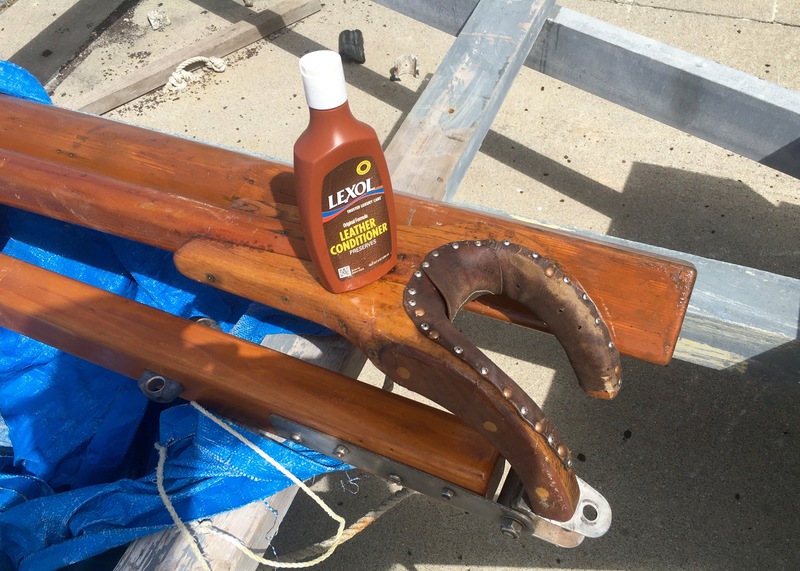 I drench the gaff jaw linings with leather conditioner. I hope to see acceleration on the project but, I realize that typhoons hold the key. The fly sheet from a Black’s Double Niger would be the thing. I wonder where they all went. Ha! That would do nicely. I am surprised to find that Black’s of Greenock are still going strong.